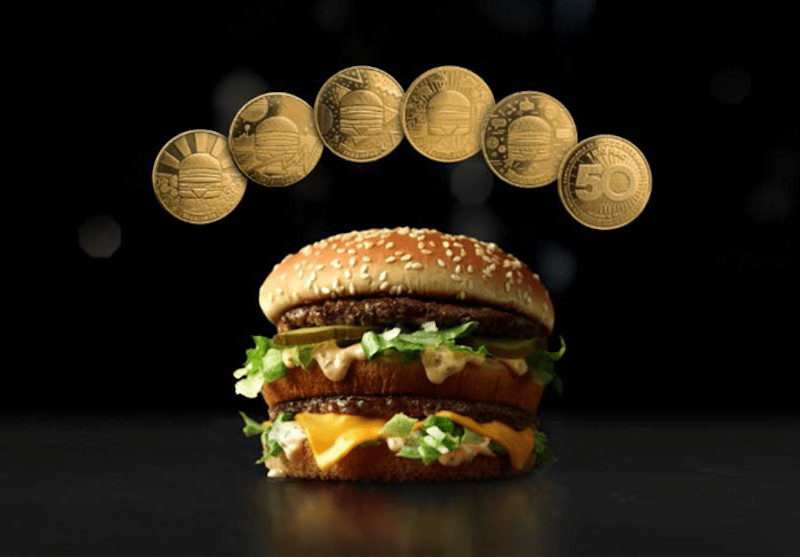 “To celebrate the 50th anniversary of the Big Mac, McDonald’s unveiled the MacCoin, a limited edition global currency* backed by the internationally iconic Big Mac,” reads a press release issued by McDonald’s. According to cleveland.com, the coins were minted by Osborne Coinage Co. located in Cincinnati, Ohio. In order to obtain a MacCoin you have to go to your local participating McDonald’s and purchase a Big Mac. You get one for each purchase while supplies last. More than 6.2 million MacCoins are available from McDonald’s restaurants in 50 countries including more than 14,000 participating restaurants in the United States. It is not known whether you can ask for a specific coin or it is done by random selection. But here is a new opportunity for trade token collectors to include something new in your collection. You can see a video of the commercial on YouTube.